Check out Cards & Quests under our blog to see freebies and news! We will be demoing the game at Apollo Con, Houston’s Science Fiction, Fantasy, and Horror Conference. We will be located in the dealer room demoing this new RPG and we will be GMing a game on Friday at 8PM and Saturday at 2PM titled “Cards & Quests: The Alchemist’s Pawn”. 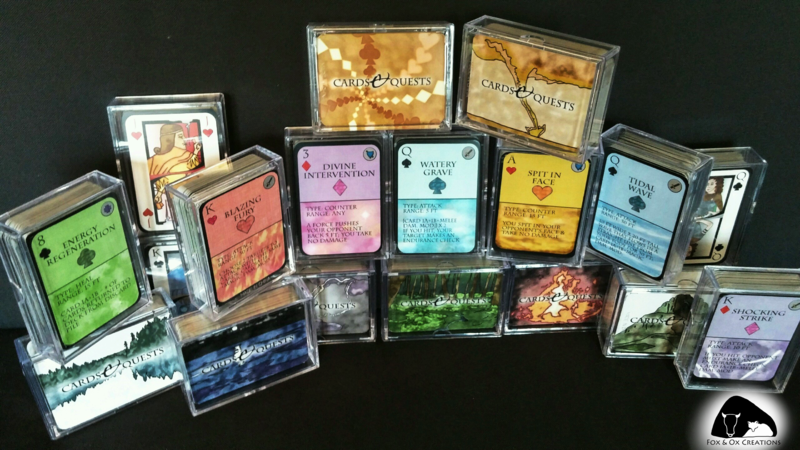 The C&Q Decks have arrived! Cards & Quests decks, it was a balancing act getting this picture. 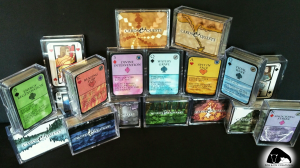 After working towards this for a few years, we have finally printed custom decks for Cards & Quests. These are just prototypes, but we are excited to see them become reality. We sent the rulebook off to print yesterday; soon we will have the whole game in reality!! Every year in February, a special time in gaming happens in Houston–Owl Con! Rice University hosts a game convention that includes tabletop, board games, larps, and more. The tabletop games always catch my interest and there were many good ones to choose from this year. We got to play a Fate Core game set in old New Orleans. It was an exciting game that ended on a steamboat along the Mississippi. The Fate Core games I’ve been party to are always great because the system allows for telling very enjoyable stories. Later in the weekend, we decided to go outside our comfort zone and participated in a LARP run by Mythos Houston. A great group of people combined with a crazy plot made for a night full of shenanigans, that includes a cake being abandoned somewhere in the halls of Rice campus. The setting was a wedding in 1920s Alabama (I guess we gravitated to the Old South games) that came to a horrific end in true Cthulhu fashion. 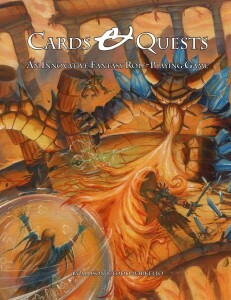 Fox & Ox hopes to see you there next year playing our games–Card & Quests and Bureaunauts!! 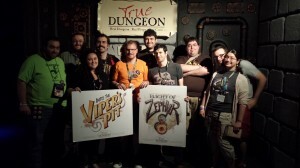 Had fun doing gaming “research” at Gencon this year with the best gaming group ever! Being avid gamers ourselves here at Fox and Ox Creations, we wanted to take a more active role in the gaming community.